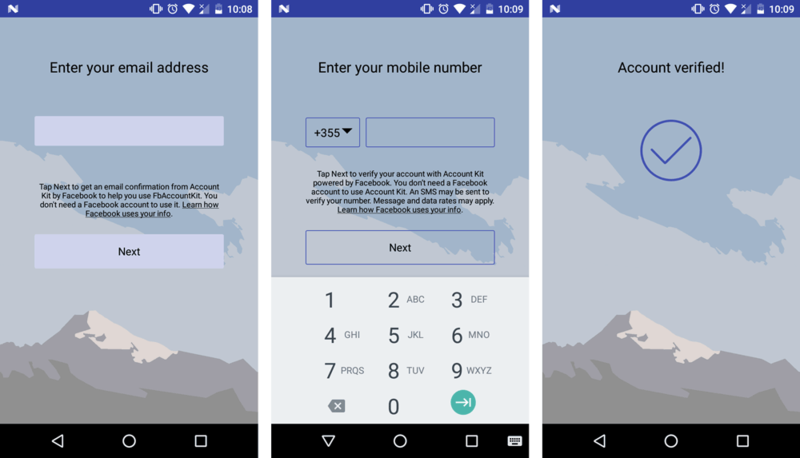 In this tutorial I will show how to use Facebook’s Account Kit Tool to allow users to log in or sign up using their phone number or email. You can find the completed project on Github. After creating your project, please make sure that you add your Application to the Facebook’s Developers console and obtain your APP ID. Since this application needs the Internet to perform the Phone or Email login, make sure you add the INTERNET permission on top of the Manifest file. Inside the <application> tags, we need to declare the Email Redirect Activity. This activity, detects when you click on an Account Kit kind of link or URL placed inside the Email body and launches the Application. That occurs when the user has confirmed the received email about Email logging in using Account Kit. Each one of the first two buttons will open a new view, Phone number login type or Email, depending on the case. The third button clears the stored sessions. Each one of the buttons declared inside the xml has a function as a parameter of the onClick attribute. So we need a public void emailLogin(View view) method inside our activity. This method will open the Email Login view. The @Nullable annotation allows us to call the same method even with a null parameter. Its UI will be determined by the UIManager object. Using this object, you can customize its skin type, primary color, background image, tint color and tint intensity. If the result from AccountKit Activity is okay, then we will have an AccessToken and an AccountKit Account. Depending on the login type we can get the user’s email or phone, or even both. No matter which login type is being used, the result is obtained in the same way. To check if the user is already logged in using AccountKit, you can place getCurrentAccount() inside the onCreate() method too and it will check if there exists a AccountKit AccessToken. These are the most important methods to keep in mind while using the Facebook Acccount Kit as an alternative login method. 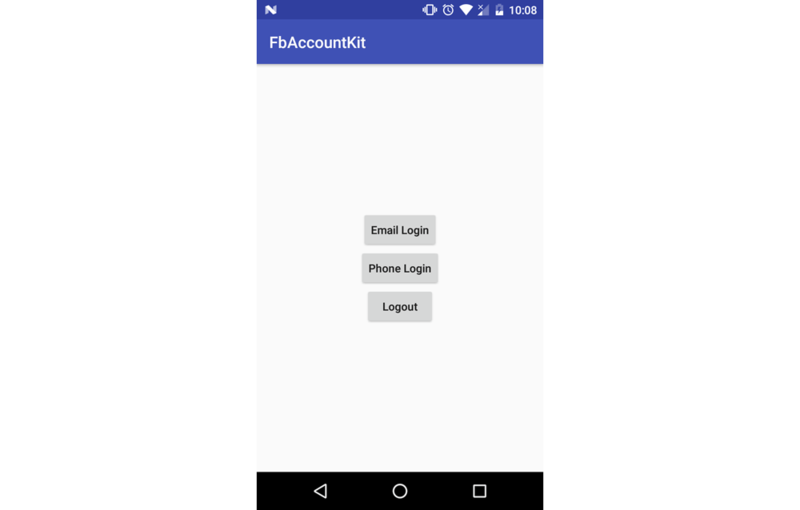 Facebook Account Kit is a really handy tool for a simpler, faster and passwordless application login or signup. It is one of the most reliable services of its kind. Hope you enjoyed the article. If you have any questions or comments, please let me know in the comments field below. Theodhor has just finished his Computer Engineering bachelor. He loves Android development and that is the field he is the most focused. He also has good knowledge in web development and Unity 3D.